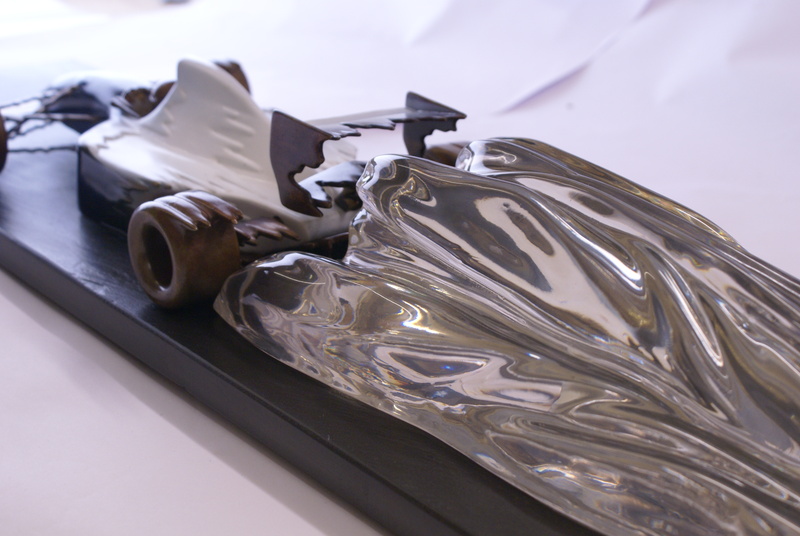 the second artists proof of the new work based on the existing ‘Senna’ sculpture from the studio of Gregory Percival. 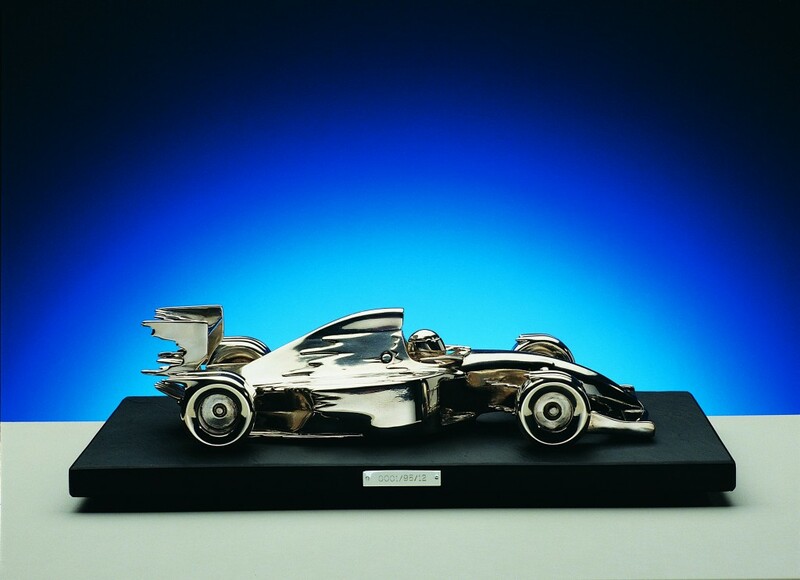 Sold for € 5,000 (£ 4,375) inc. premium A great result with all three editions selling. 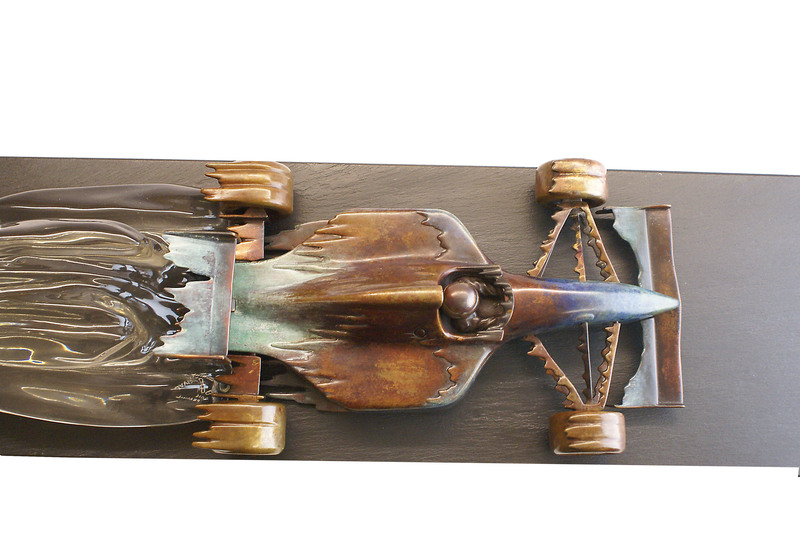 ‘Senna’ patinated first artists proof was shown at Bonhams Paris sale Feb 9th, first images being released. 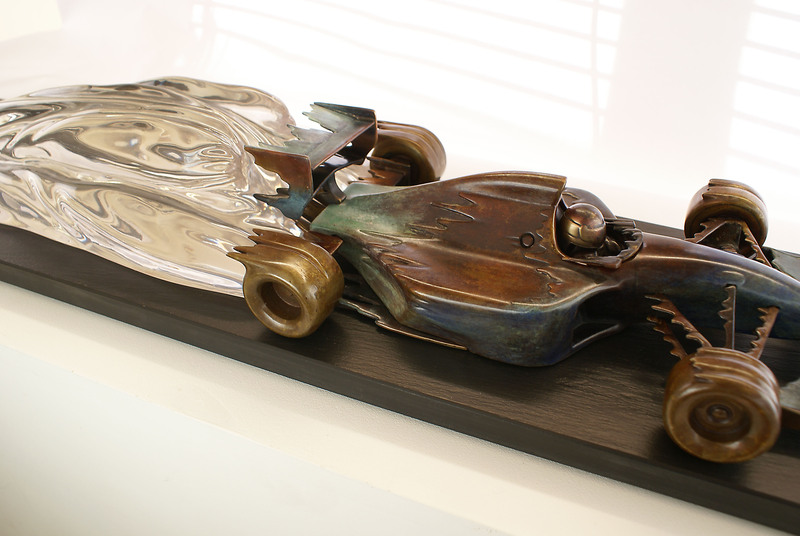 A new work based on the existing ‘Senna’ sculpture from the studio of Gregory Percival. This first artists proof is one of two only to be created with a final edition of ten only. 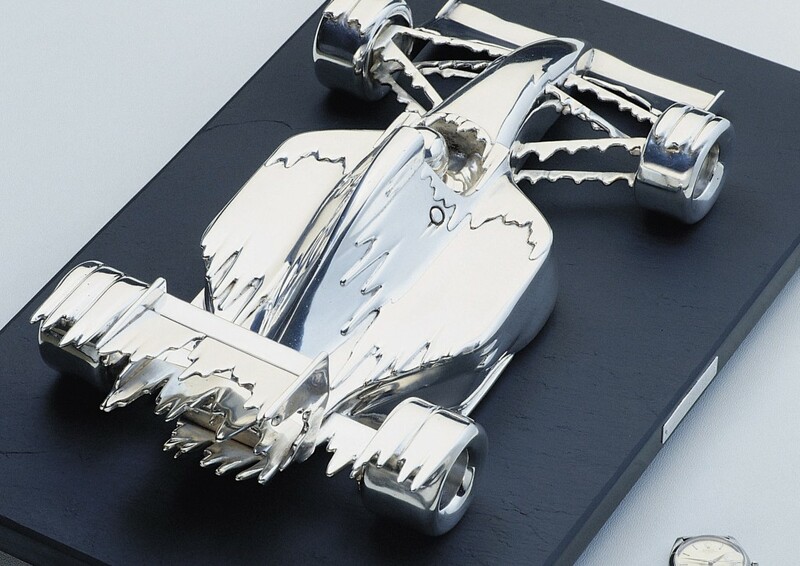 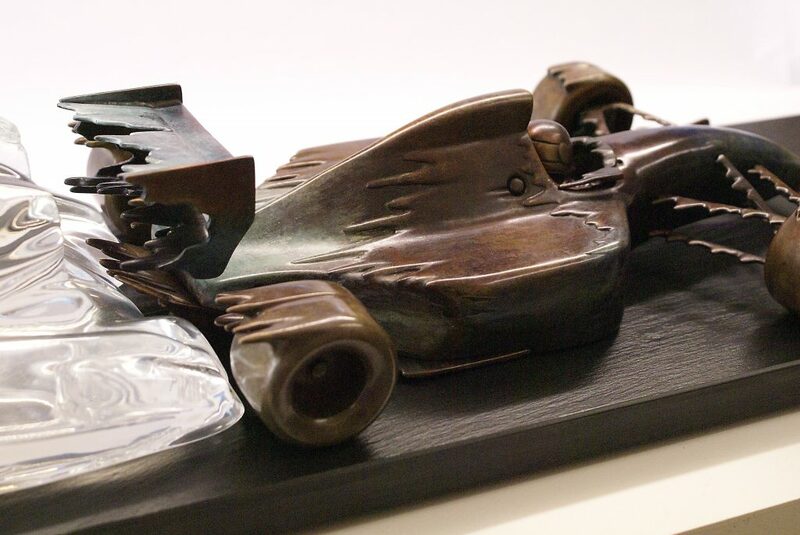 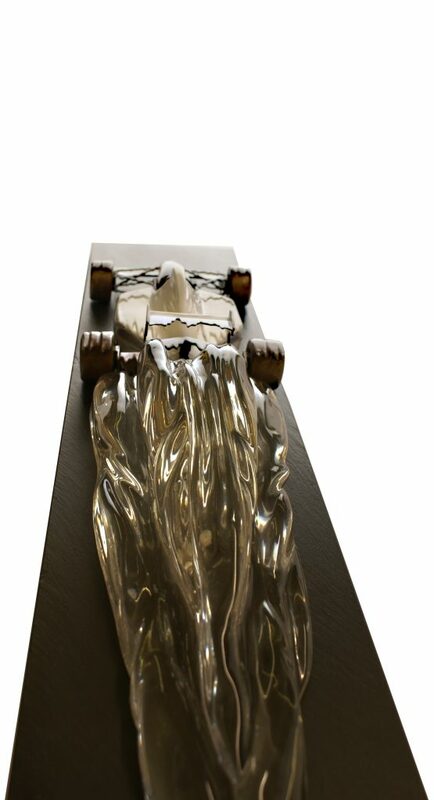 The new work has a patinated bronze sculpture of Senna in his Williams FW16 showing the Williams team colours and now incorporates a brand new extension sculpture ‘wake’ of resin glass behind the patinated bronze Williams to give it the extra dynamism I have always desired. Kinetic form and motion conveyed through bronze. Edition: Two Artists Proofs then 10 of each, Individually numbered and signed. 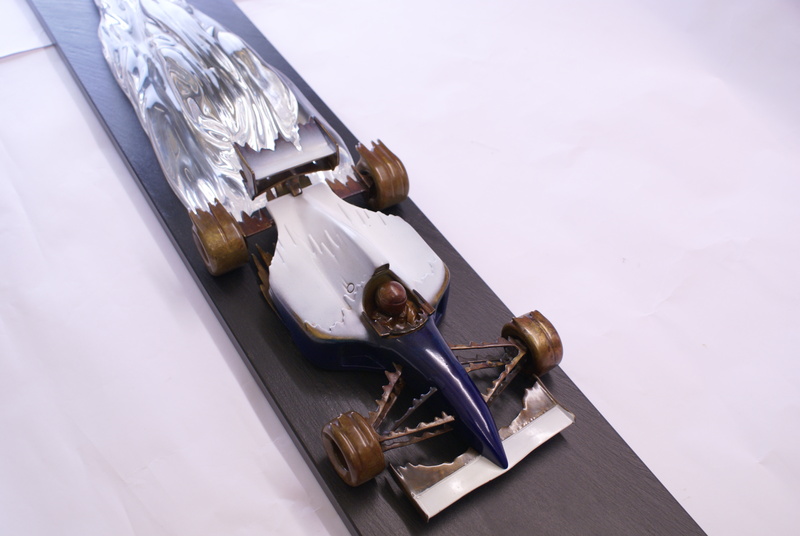 A life that inspired this first venture into sculpture work, a personality that lent itself perfectly to the creative process. 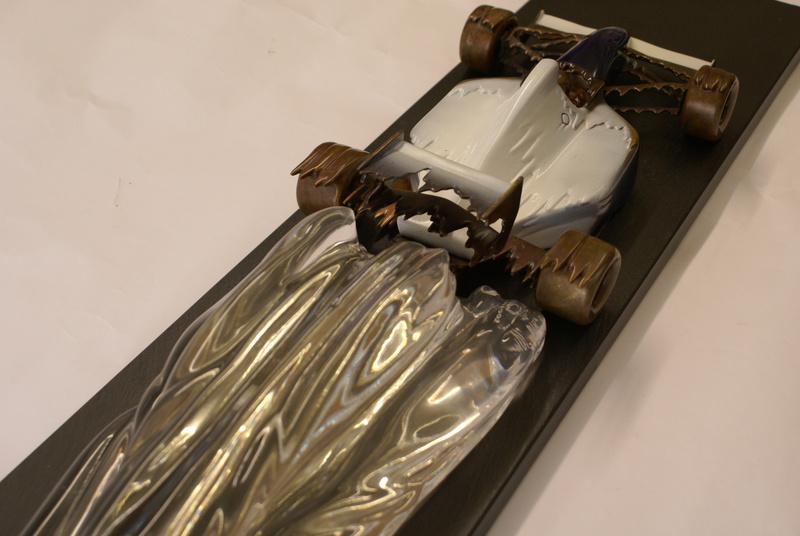 Six months acquiring the techniques through trial and error, produced a piece comprised of 27 seperate castings. 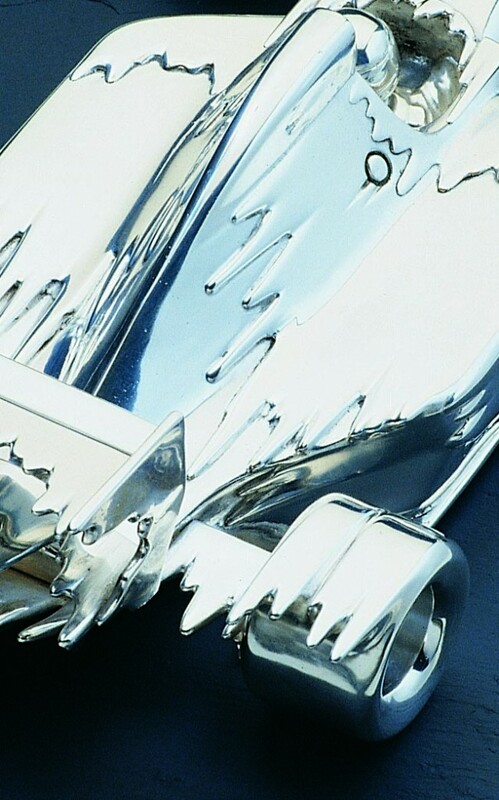 Kinetic form and motion conveyed through silver on bronze. 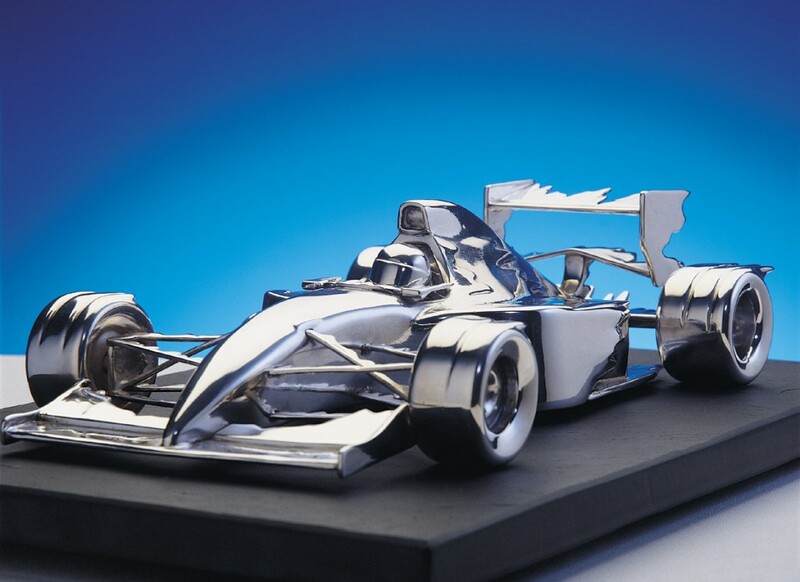 Displayed at the Goodwood Festival of Speed drivers hotel and Earl of March’s office. One edition as F1 Racing magazine competition prize. 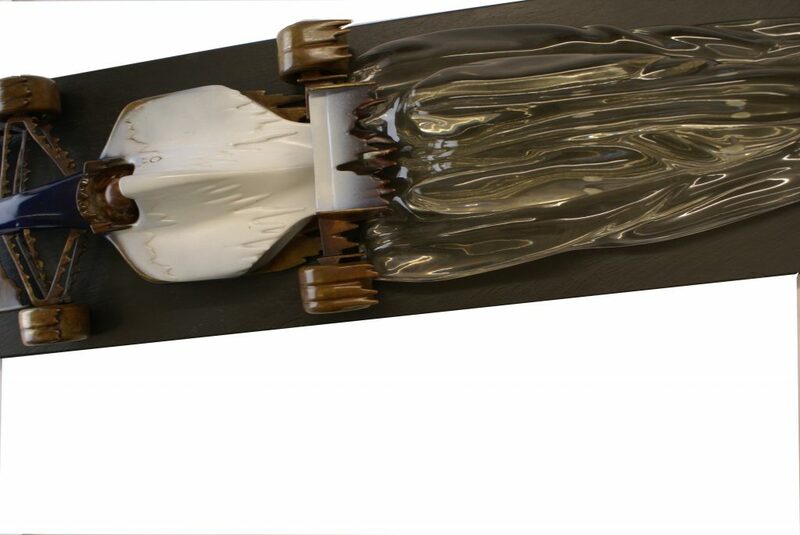 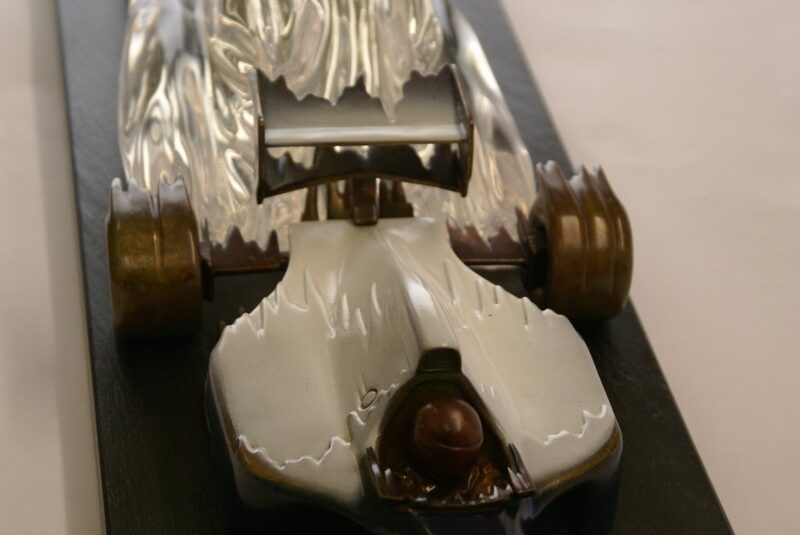 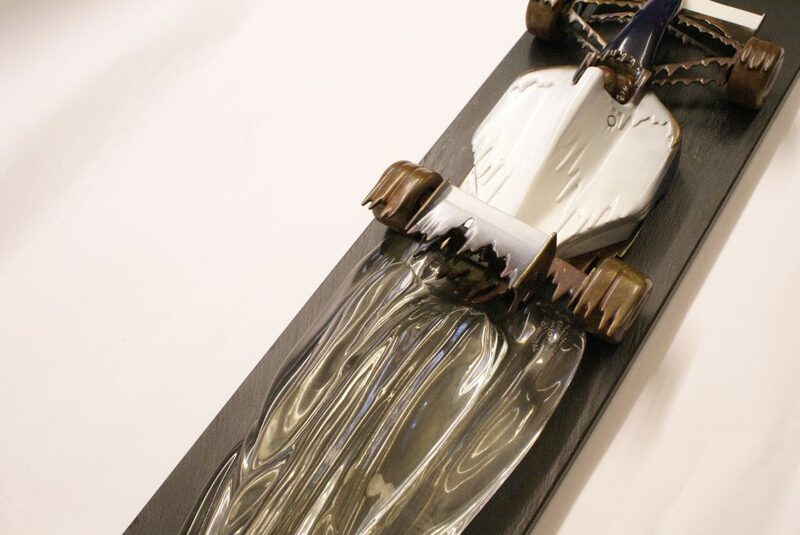 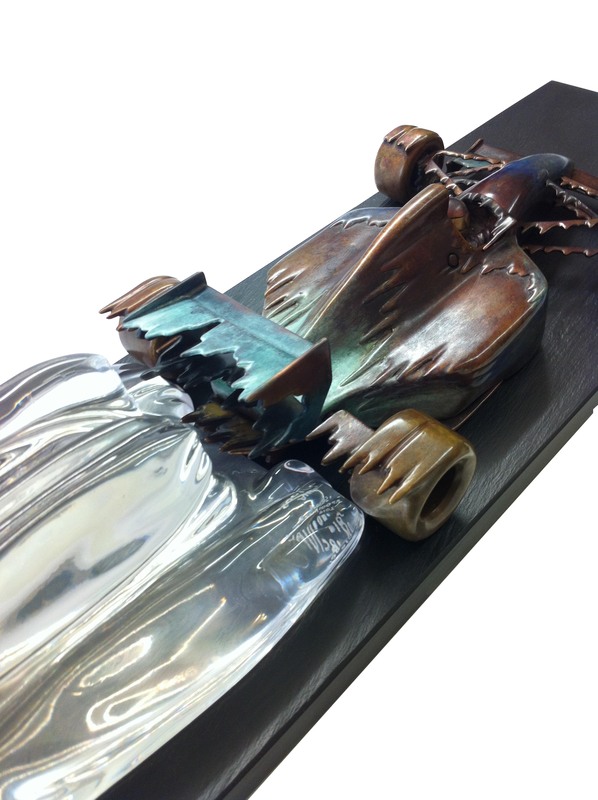 The sculpture conveys the excitement and dynamic of speed through the material’s mercurial flow. Edition: Two Artists Proofs then 15 of each, Individually numbered and signed.